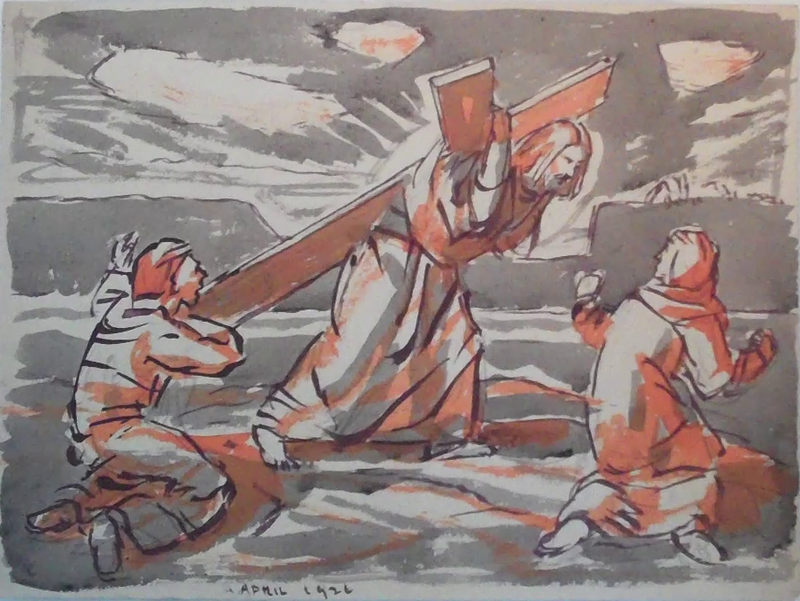 Carrying the Cross, April 1926, watercolor on paper, 10¼ x 13¾ in. 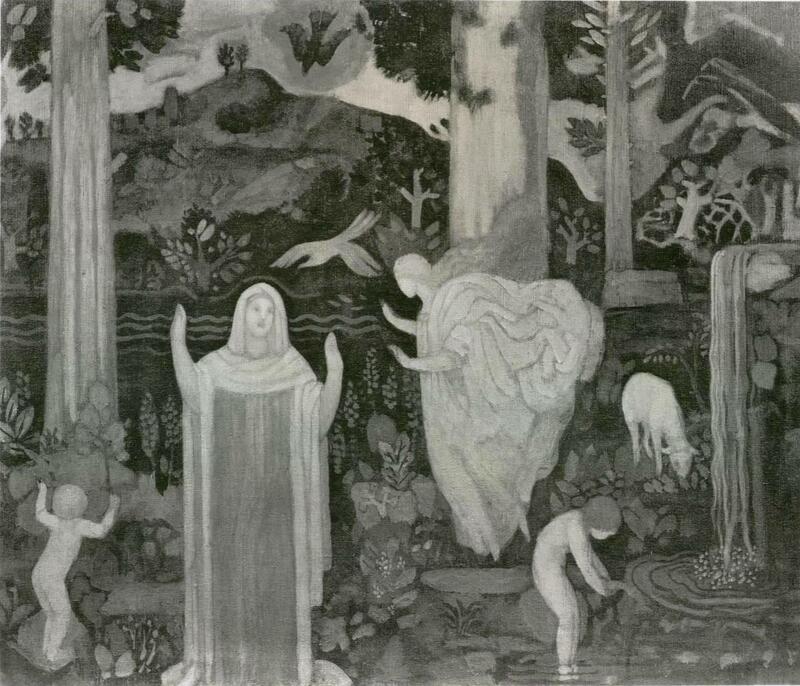 Peace, oil on canvas, 1924, 35 x 42 in. This new collection gathers the fruits of Carl Schmitt's contemplation over a long lifetime, revealing a man whose words on paper are as remarkable as his work on canvas. The seventy essays offer a fresh perspective on such topics as art, culture, personality, mythology, and history, all informed by the far-reaching perspective introduced in The Vision of Beauty. 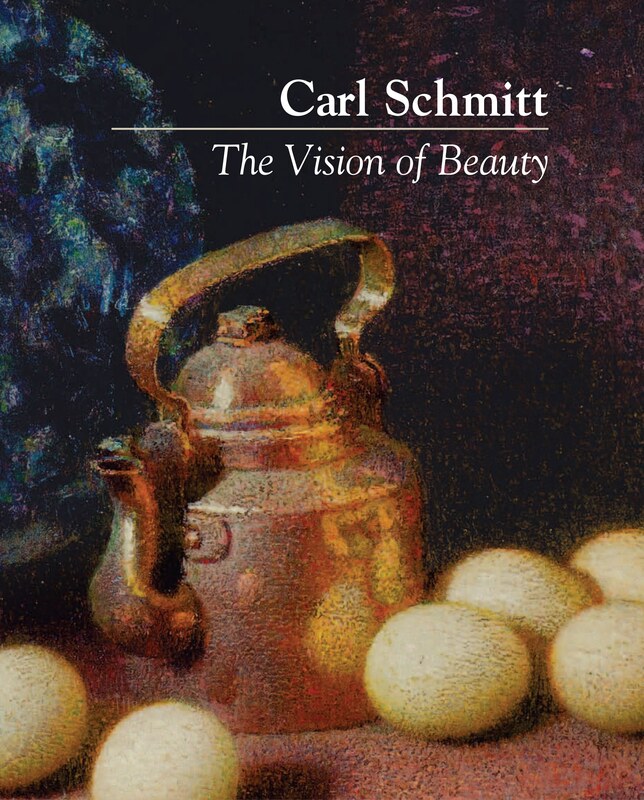 The beautiful new coffee-table book on Carl Schmitt's life and art is available at 20% off through the CSF! Your purchase benefits the Carl Schmitt Foundation. If you have enjoying this blog and been enriched by the art, thought, life of Carl Schmitt, please help us further the legacy of a great American artist. Our e-newsletter, Vision, will keep you updated on the latest developments at the Foundation, offer wisdom from Carl Schmitt's unpublished writings, and best of all, share previously unseen images and other material from the archives. Click here to subscribe to Vision. Click here to read past issues of Vision. "Eclipse: A Painting by Carl Schmitt." by Carl B. Schmitt, Jr.
Painting by Carl Schmitt for Sale: "Autumn Tapestry"